View cart “Listen to the Birds” has been added to your cart. 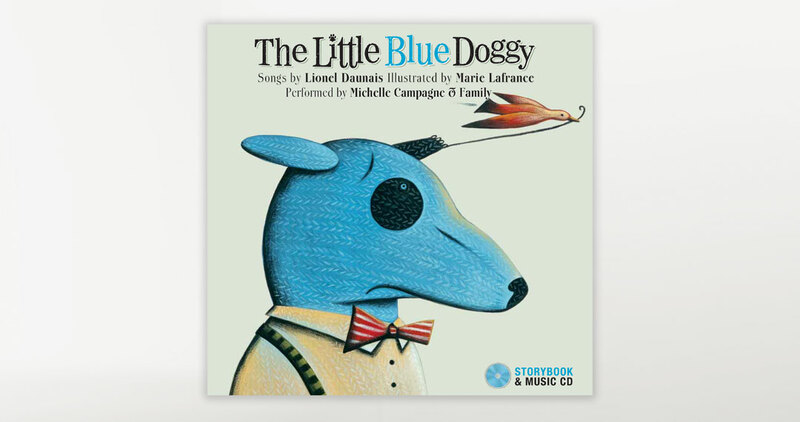 The title track which remains true to its musical origins as a mid-century French Canadian radio jingle, tells the story of an endearing little blue stuffed doggy with a soggy, red, cotton tail. “Snag,” as his friends affectionately call him, finds himself in a conundrum when his parents go out for the evening while he’s banished to the bathroom closet, all alone. He falls asleep, dreams of a wicked fairy queen who slowly unravels his tail and awakens to discover that it’s, in fact, a mob of dust mites nibbling all over him! His parents eventually come home to find that all that remains is his tail! Fortunately, Snag’s mother loses no time in quickly re-knitting him. This colourfully illustrated storybook with accompanying CD includes 13 lively songs beginning with the main story song, a bouncy throwback to the swing jazz era.